Carnelian Semi Precious Stone Necklace with Fresh Water Pearls, Venetian Glass & Copper. 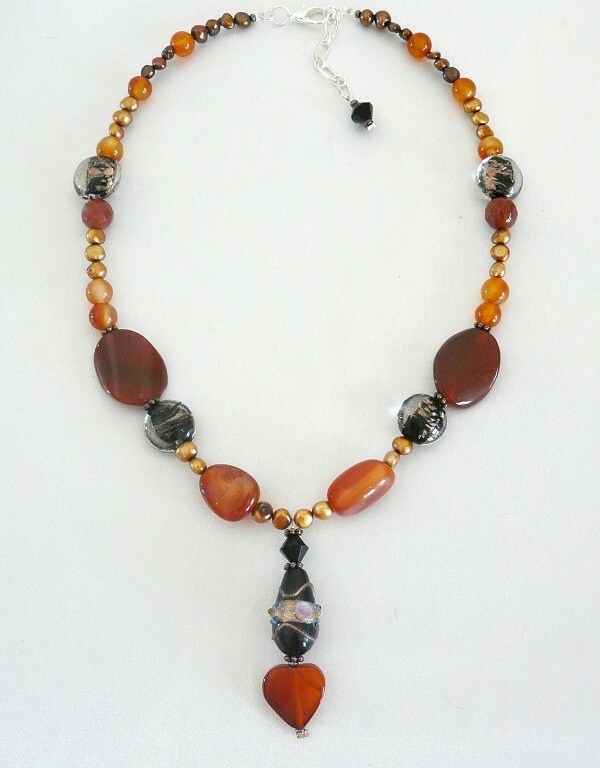 This Carnelian Necklace is very warm in colour and has an autumn and winter look to it. Its not as chunky as many of our other Gem Stone Necklaces are, and provides an option for someone who wants a Gem Stone Necklace or Semi Precious Stone Jewelry piece that is a little more delicate.